How many people have left Venezuela to live abroad since Hugo Chavez, Venezuela’s late former president, first took office in 1999? The New York Times, Reuters and the Financial Times have uncritically cited the work of Tomás Páez, a fiercely anti-Chavista academic who claims that 1.8 million have left in the last 17 years. 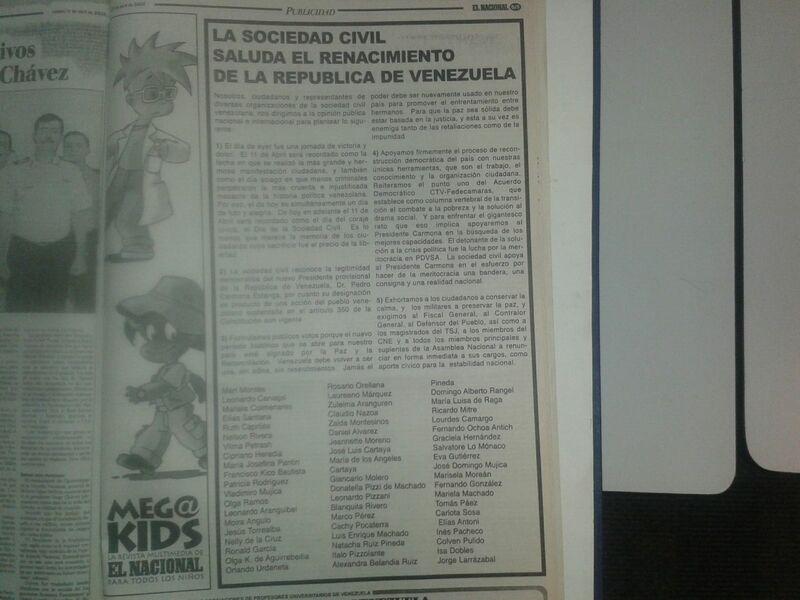 Páez signed an open letter in April of 2002 – a quarter page ad in a major newspaper – welcoming the Carmona dictatorship that ousted Chavez for two days. That alone should prompt journalists to check his estimate. In fact, a reasonable estimate, based on World Bank and US Census Bureau data, would be half the number Páez claims. The data in the table can be found here, here, here and here. According to the World Bank, by 2013, the number of Venezuelans who had left to live abroad since Chavez took office in 1999 was 333,425 (growth in the population listed in the table). * At that time, Páez was claiming that 1.35 million had left (i.e. 90% of a population abroad he was then estimating as 1.5 million). At the very least, journalists should be informing readers that Páez’s estimates are extremely high compared to other sources. What has happened since 2013? World Bank data is not yet updated to 2016. However, data for in the USA’s Venezuelan-born population is available (here and here). That data gives us some basis for estimating how many Venezuelans may have left their country to live abroad since 2013. Since 2014, Venezuela entered into a very severe recession. Unsurprisingly, the pace of Venezuelan migration to the USA has increased markedly in recent years: from an average of 7000 people per year (between 2000 to 2013) to 28,000 per year after 2013. By all accounts, the United States has been the top destination for Venezuelans who have left their country since 1999. According to the data above, the United States has been the destination for about 30% of the Venezuelans who left in the 2000-2013 period. If that remained true after 2013 then about 84,000 people per year have been leaving Venezuela after 2013. That would yield an estimate of 585,000 Venezuelans leaving to live abroad in the 1999 to 2016 period. If migration elsewhere since the crisis (in particular neighboring Colombia) reduced the US share to 20% of Venezuelans who left after 2013 then 140,000 have been leaving Venezuela to live aboard since the crisis. That would yield an estimate of 753, 425 leaving to live abroad in the 1999 to 2016 period.